“We want to become the first overall winner with an electric vehicle,” said Kristaps Dambis, project director at Drive eO, a Lativa based engineering firm turned race team which specializes in developing high performance electric prototypes. The event he’s referring to is the Pikes Peak International Hill Climb, a notoriously challenging race which has been known to take out fierce competitors in the blink of an eye – a fate the Drive eO team knows all too well. Held annually since 1916, the Pikes Peak race is second only to the Indianapolis 500 as the longest running automotive event in North America. 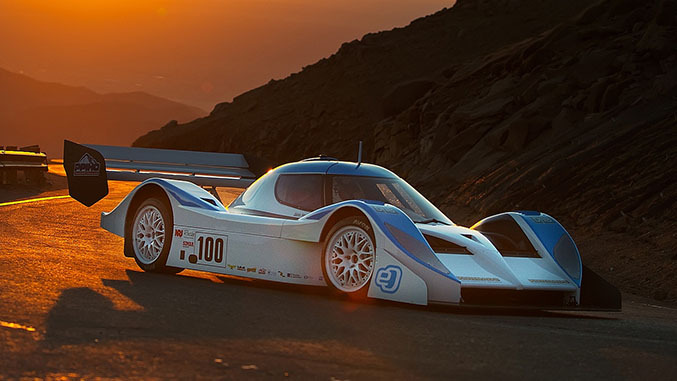 Drive eO made their Pikes Peak debut in 2013 with the PP01, an all-wheel drive sports racer based on the Aquila CR1 which utilized four liquid cooled YASA-750 electric motors – one at each wheel – and a 50 kWh custom battery pack. While the car showed promise, adverse conditions on the course would cause the team to DNF after losing grip around a left hander at the Halfway Picnic Grounds, tumbling off the course and making an unwanted acquaintance with a tree. For 2014, the team decided to take a different approach. This time they decided to use a Tesla Roadster chassis as a test bed to “validate the new components ahead of scaling them up for successive electric supercar projects which are already on the drawing board.” The PP02 utilized a pair of electric motors powering the rear wheels and a 40 kWh lithium-ion battery pack, good for about 485 horsepower and nearly 600 pound-feet of torque. The PP02 went on to finish fifth in the Electric Modified class. The PP03 is motivated by six YASA-400 electric motors that draw power from a 50 kWh lithium ion battery pack, a setup which yields a jaw-dropping 1400 horsepower and 1600 pound-feet of peak torque. The new car sports an all-wheel drive layout like the PP01 in a package weighing in at 2640 pounds, and along with the PP03’s four-way adjustable dampers, 320mm-wide racing slicks, single-speed gearbox, and a top speed of over 160 miles per hour, the new racer should prove to be a formidable opponent indeed – assuming everything goes as planned. But Dambis says the team is ready. “We know that racing with a state- of-the-art vehicle comes along with new challenges, but we are well prepared after our Dakar Rally adventure and two previous participations in the race at Pikes Peak." 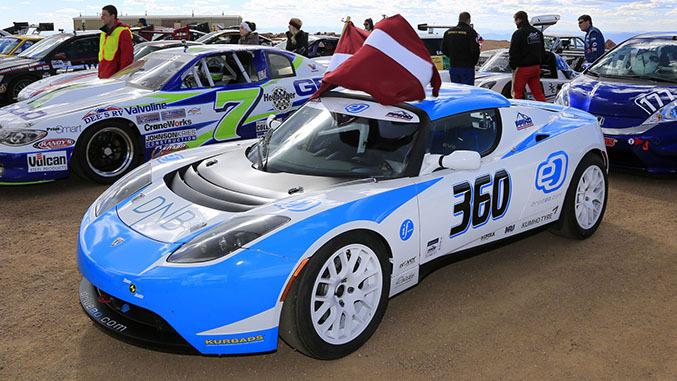 The Pikes Peak International Hill Climb takes place on Sunday, June 28.